Finexis Building: The 12-storey freehold tower does not have any immediate redevelopment potential. 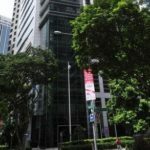 An offshore fund controlled by a few high net worth individuals has acquired a 50 per cent stake in a company whose sole asset is the 12-storey freehold Finexis Building (formerly known as GMG Building) at Robinson Road. The transaction was based on the office block’s latest valuation of $110 million in July 2011. This works out to about $2,043 per square foot on its total strata area of 53,830 sq ft, which is understood to be close to the building’s net lettable area. The share purchase agreement was signed early last week. 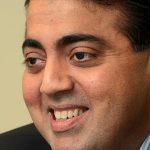 The half stake in Robinson Land Pte Ltd was sold by a partnership that includes private 2 real estate investor and ex-Goldman Sachs banker Kishore Buxani and offshore investors advised by Mukesh Valabhji of Seychelles-based Capital Management Group.  They will continue to hold the remaining 50 per cent in Robinson Land Pte Ltd. The company acquired the office block, located at 108 Robinson Road, in late 2006 for $48 million and is said to have invested a further sum of about $6 million sprucing it up. 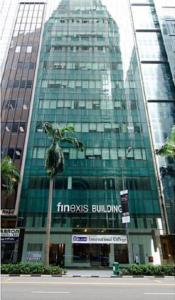 Finexis Building is more than 82 per cent let, with anchor tenant Finexis Advisory occupying five floors. 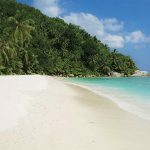 Other tenants include Cliftons and BoxHill Institute, both from Australia, and Melior International College, which has a tie-up with Australia’s CQ University. Mr Buxani is a nephew of Raj and Asok Kumar Hiranandani, the founders of Royal Brothers group. Their sister is Mr Buxani’s mother. 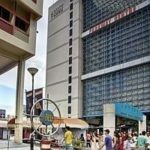 Mr Buxani is well known as an investor in shophouses as well as strata retail units. He left Goldman Sachs in 2005 after almost 10 years and has been investing in the Singapore commercial real estate market since 2000. He currently controls the Buxani Group, which focuses primarily on acquiring prime commercial properties in Singapore and adding value through asset refurbishments, repositioning and tenant remixing. The partnership between Mr Buxani and Mr Valabhji’s Capital Management Group has successfully acquired a number of properties in Singapore since 2006, with the largest deal being six floors or slightly over 26 per cent stake in Samsung Hub, a 999-year leasehold Grade A strata-titled office development at Church Street. 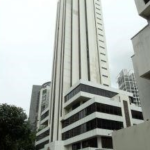 These six floors, totalling 78,490 sq ft, were bought from OCBC Properties in early 2007 for $122.44 million or $1,560 psf of strata area. The current valuation of these six floors is about $220 million, based on the recent sale price of $2,800 psf for one of these floors. 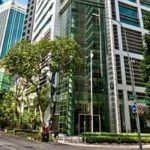 This is one of the highest prices ever achieved for a strata office floor in Singapore. Finexis Building does not currently have any immediate redevelopment potential. Its current gross floor area of 64,766 sq ft is 11.67 times the land area of 5,549 sq ft – exceeding the 11.2 maximum plot ratio for the site under Master Plan 2008. The latest rental transaction in the office block was done at $7 psf a month, but the current average monthly passing rental (that is, what is being paid by existing tenants) in the building is lower, at about $5.60 psf. Assuming the building is fully let at this rate, the net yield based on the $110 million valuation works out to around 2.9 per cent. The building is said to have been completed in the 1980s. Over the weekend, Mr Buxani’s uncle Asok Kumar Hiranandani was also in the news for an office transaction. 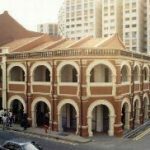 BT reported on Monday that Royal Group Pte Ltd, controlled by Mr Hiranandani and his son Bobby, clinched two adjacent 999-year leasehold office blocks at Phillip Street for a total of nearly $283 million or an average price of $2,350 psf on net lettable area (NLA). The buildings are being sold by Aviva group. 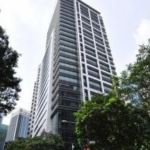 One Phillip Street, with NLA of 38,194 sq ft, is being sold for $2,050 psf, and Commerce 3 Point (at 3 Phillip Street), which has NLA of 82,191 sq ft, at $2,490 psf. Mr Hiranandani also revealed that he received $3,050 psf on NLA for the sale of his 50 per cent share of the 999-year Royal Brothers Building at Malacca Street nearby earlier this month to RB Capital, controlled by his elder brother Raj Kumar’s son Kishin. The office block has around 59,000 sq ft of NLA.